It is all coming together, and the United States should be terrified. Late last month, we suggested that Beijing’s first domestically built aircraft carrier would begin sea trials “imminently.” Pictures and video from Dalian Shipbuilding Industry Company, located in Dalian, Liaoning province, China, the largest shipbuilding company in the country, showed the aircraft carrier, so far known as Type 001A (CV-17), preparing for its first independently powered foray at sea. 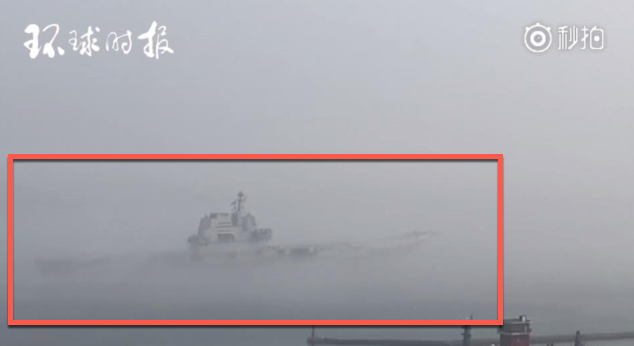 The video shows the aircraft carrier preparing to leave the port in Dalian on Sunday morning around 5:30 am. It took five tugboats about two hours to successfully spin the vessel around and head out to sea, as the ship disappeared in the fog at 7:30 am. The first sea trial will primarily concentrate on testing core systems of the vessel, including power, communication, fire safety, and electro-mechanical, Song Zhongping, a military expert and TV commentator, told the Global Times. “Weapon systems and carrier-based aircrafts are unlikely to participate in the first sea trial, and combat capability tests will be carried out by the People’s Liberation Army (PLA) Navy after the carrier is formally delivered to the navy. Before this, its producer may need about six months to finish tests, which means the navy will receive the ship by the end of this year,” Song said. Chinese President Xi Jinping, recently spearheaded an ambitious modernization plan for the People’s Liberation Army Navy (PLAN), including stealth bombers and fighter jets, hypersonic vehicles, and anti-satellite missiles, as Beijing increases its presence in the heavily disputed South China Sea and around Taiwan, an island that it still considers its own. In early April, we described how Beijing assembled a massive show of naval force in the South China Sea — the largest in more than 600-years. Beijing’s maritime expansion comes as no surprise, as President Jinping is pushing for the One Belt One Road Initiative. The PLAN assembled all of its most advanced warships, aircraft carrier, aircraft, and nuclear submarines for a massive show of force in the South China Sea. State-run Chinese papers said the number of warships assembled “the largest of its kind in 600 years.” This is following the 14th-century fleet admiral Zheng He, whose large expeditions in Southeast Asia, South Asia, Western Asia, and East Africa — helped establish China’s power through expansion of the Maritime Silk Road during the Ming dynasty era. 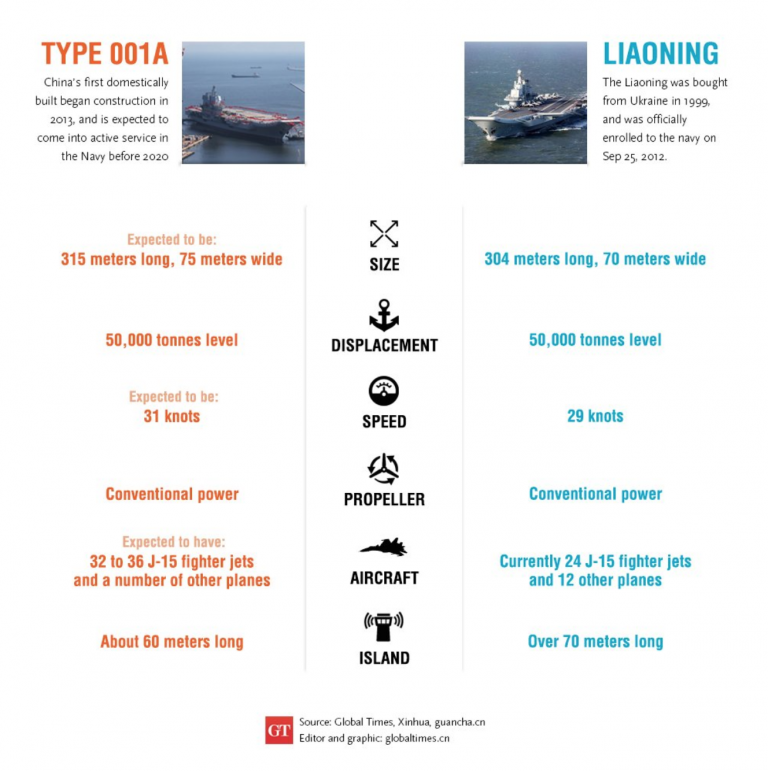 The Type 001A is a conventionally-powered vessel and will be able to hold more planes than China’s only other aircraft carrier, called Liaoning. China’s PLAN has taken an increasingly aggressive role in 2018, with Liaoning and dozens of warships sailing through the South China Sea and around self-ruled Taiwan. While the United States Navy operates 19 aircraft carriers and plans to build a few more, Chinese state-run media has quoted military experts as saying Beijing needs at least six carriers. There are expectations that the Type 001A will enter the PLAN fleet as early as 2019, or at the latest by 2020. 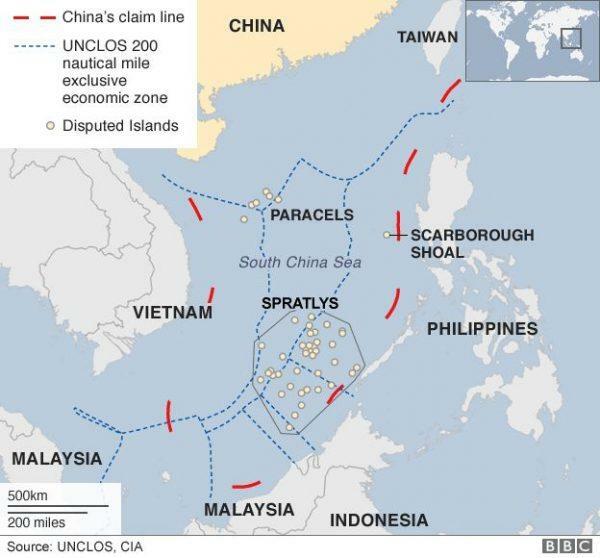 Washington and Beijing are sleepwalking into a tremendous collision, that ultimately could resort to a military conflict in the South China Sea.